Levittown, NY - March 4, 2014 - Crime Stoppers and the Nassau County Police Department are seeking public’s help in identifying the pictured subject in connection with a Petit Larceny that occurred in Levittown, NY. 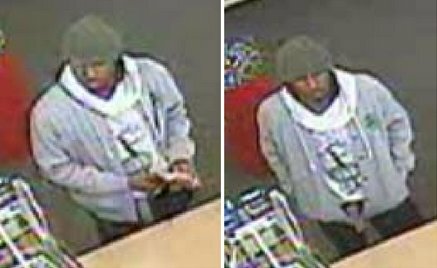 On Sunday, January 26th, 2014, at approximately 3:30 PM, the subject was observed inside of CVS located at 2970 Hempstead Turnpike, Levittown. While present in the store the subject attempted to purchase $100.00 worth of gift cards using counterfeit $10 dollar bills. The subject was advised by the store clerk that the bills were counterfeit and that they would not be accepted as payment, and the subject fled the scene in an unknown direction. The subject left one counterfeit $10 bill at the store. The subject is described as a Male Black, approximately 5’9” tall, 175lbs, possibly in his 20’s. Subject: LongIsland.com - Your Name sent you Article details of "Nassau Crime Stoppers Searching for Counterfeiter"